Elaine Hancock (Olney, United States) on 20 November 2018 in Plant & Nature. Quite a pretty image of the colorful grass and blue water. J'aime beaucoup cette photographie d'une belle nature. Jolie ambiance de zone humide, j'aime. Fantastique fond bleu et ces épis dorés superbe vue. Like a celebration of Freedom. Lovely against the dark blue background of the water. Stunning blue background. I like this a lot. 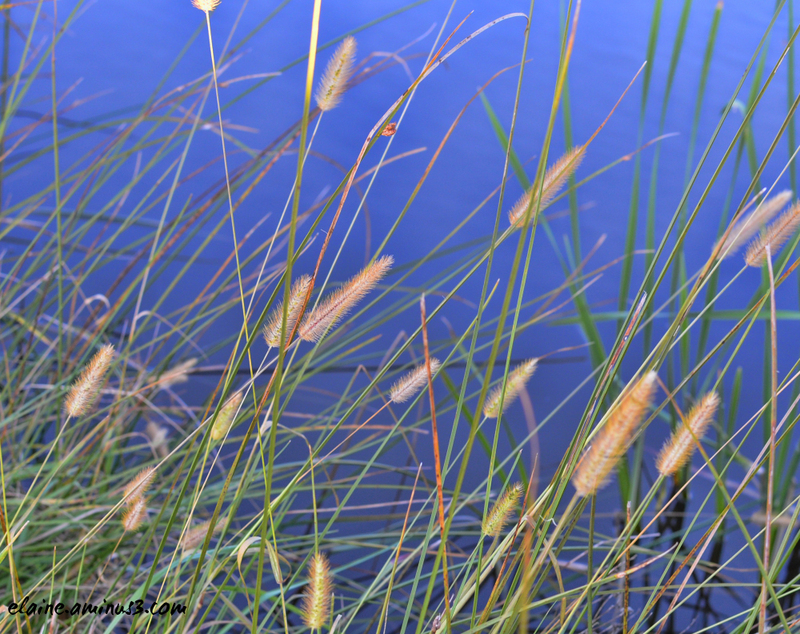 Great standout of these grasses against the refreshing blue water!! Beautiful composition! The grass shows so well against the water. Well seen and photographed. Jolie photo, j'aime beaucoup les couleurs.